As a community we have a responsibility to ensure our children are meeting the state-wide literacy and language benchmarks. 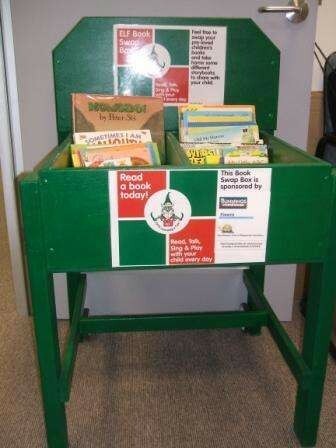 The Book Swap Box initiative aims to improve access to children’s books. Book Swap Boxes are located in various businesses and early childhood centres across the municipality, and are a great way to get good quality second hand children’s books into homes, as well as keep children occupied when they visit Book Swap Box venues with their family. To find out how to obtain a Book Swap Box for your business, contact the Children and Youth Services department at Greater Shepparton City Council on 03 5832 9790, or the GV Regional Library on 03 5832 2600. Book Bags to promote the benefits of reading to children from a young age are provided to parents by Maternal and Child Health Nurses at their child’s 4 week, 8 month, 18 month and 3.5 year ages and stages check. They include a story book, a parent information booklet, a nursery rhyme sheet, an activity sheet and library membership information and service information. A Community Reading Day involves groups of children and staff from local early childhood services (kindergartens, childcare centres and primary schools) dressing up and making their way along the main street of town or another appropriate area. At pre-arranged times the small groups of children and adults will stop at various places businesses to have stories read to them by local identities and business people. The next Community Reading Day will be held in Mooroopna and Shepparton are yet to be announced. Check back here later for more details. If you would like your business to be part of the next Mooroopna or Shepparton Community Reading Day, please contact the Children and Youth Services department at Greater Shepparton City Council on 03 5832 9790. The Parent-Child Mother Goose Program is a group experience for parents and their babies and young children (birth to 4 years) which focuses on the pleasure and power of using rhymes, songs, and stories together. Parents learn rhymes, songs and stories, which lead naturally to holding, touching and gently bouncing your child to rhythm and sound. The pace is slow and relaxed with plenty of time to learn the songs, rhymes and stories. Children gain communication and social skills while parents develop confidence and skills in parenting and relating to their child. There is no cost to participate in the program, but bookings are essential. Please contact the Greater Shepparton Mother Goose Coordinator on 0488 567 036 for more information or upcoming programs. 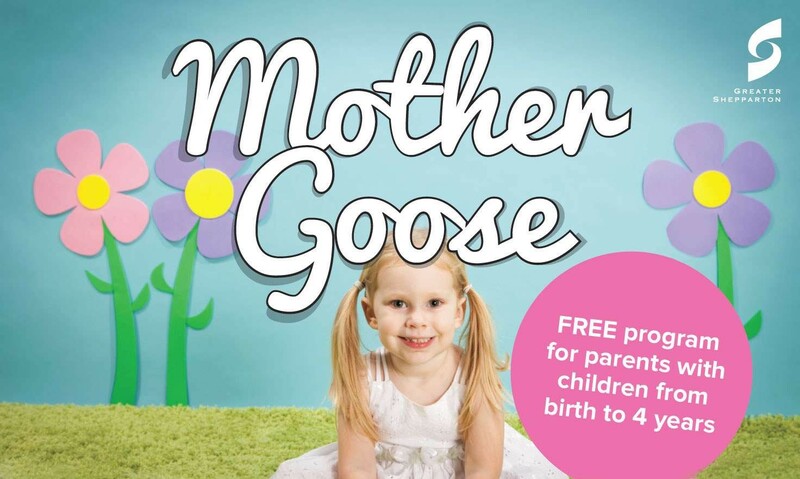 CLICK HERE to learn more about the National Mother Goose Program. The Story A Day program aims to build a partnership for learning between kindergarten and home by establishing a library at the kindergarten where children can borrow books on a regular basis to take home and read with their family. If you would like more information about Story a Day or would like to find out how your kinder can implement the program please contact the Best Start Coordinator on 03 5832 9790.